Nylon Banners. 18 x 3 feet. 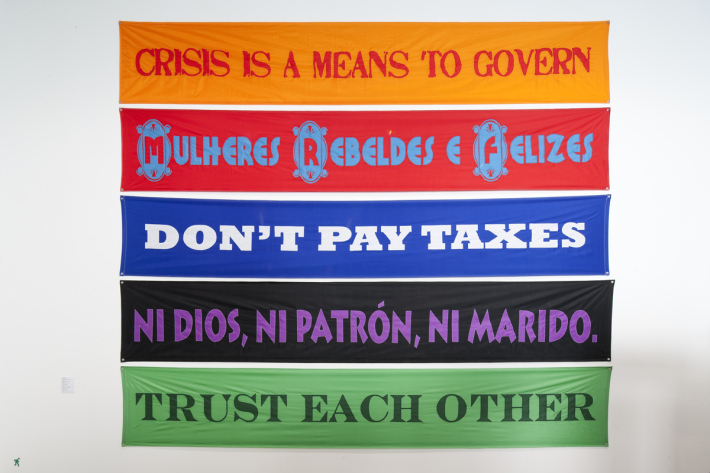 These banners bear personal and adopted statements that reflect my own social, political, economical and feminine ethics and beliefs. They can also be read and used as invitations to action.